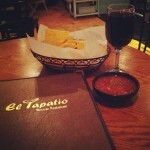 Our directory has 63 El Tapatio locations. This was one of the best Mexican meals I've ever had. Delicious fajita meats and veggies grilled to perfection on nachos is delicious! 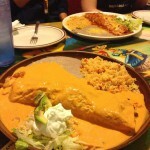 This food is awesome authentic Mexican! Love this place! The chips and salsa along with the cabbage is to die for! I got a combination platter which I would recommend to anyone who likes a variety. The Sangria is AMAZING! I recommend the 20 oz, it's worth every penny! Haven't had a dish I didn't love! The chicken fajita nachos are to die for! 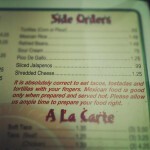 Great wait staff and reasonable prices! A must any time of the day! !